Enter a bathtub is dangerous”? It may surprise you, but in reality, you can be in support on one leg while lifting the other, the floor is wet and you have no stable grip to maintain your balance. When you think about it a little, it’s really dangerous, right? Especially when you are a senior, you are recovering, or you suffer from mobility problems. It’s a perfect bench for those users whom weight reaches up to 400 pounds.This bench is suitable for the bathroom as well as comes with backrest reverse.It’s a blow molded plastic bench, you can easily sit at the top of the frame sturdy that is quite stable.The width is 26 inches and seat depth is 18.5-19.5 inches. It has a large suction cups legs that is helpful to lock the place so you can safely sit on it.The leg’s height has half-inch increments that can be adjusted from the 17.5 to 21.5 inches. There is no tool required for assembly. This bench is designed specifically for those people who are disabled and that one with the mobility challenges with 330-pound weight or may be greater. Effectively, it enables individuals easily slide out or in of the tab. It is quite safe and secure transfer bench. The swivel seat comes with the padded and has slip-resistant padding. Unlike those benches which have fixed armrests, The Carousel Sliding transfer bench can be raised and locked into place. This standard bench has aluminum rust free legs. Additionally, it also easily adjusts from the point of 19 to 23.5. However, the overall horizontal travel is only 12. The armrest adjustable width is 17 and the measured distance is 19. You may also find a seatbelt for patient convenience. The HealthLine bench is good to buy because it comes with solid user feedback. This bench has strong constructions with textured blow molded seat and anodized aluminum frame. It’s a quite lightweight bench that is helpful to assemble easily in minutes. There is no padded, then it could be a bit hard because the seat allows the users to slide out easily. If your weight is 300 pound, then it is quite safe for yours. This bench is easily designed to fit in the standard tube. 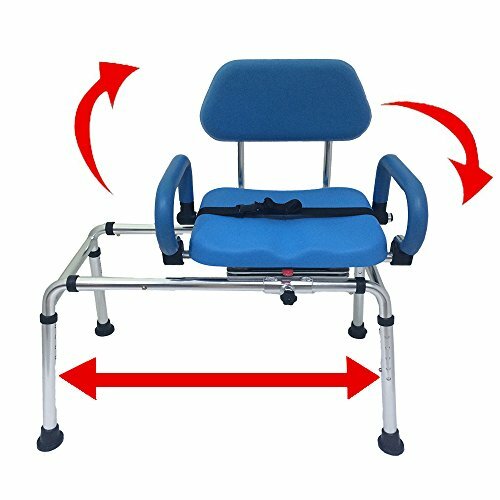 The orientation of the backrest and seat can easily change if needed. The bench legs height is 15.5 to 19.5, which is quite adjustable. Additionally, you may found two suction tips for creating stability. The seat measure 18-19 in depth and 25.5 in width. 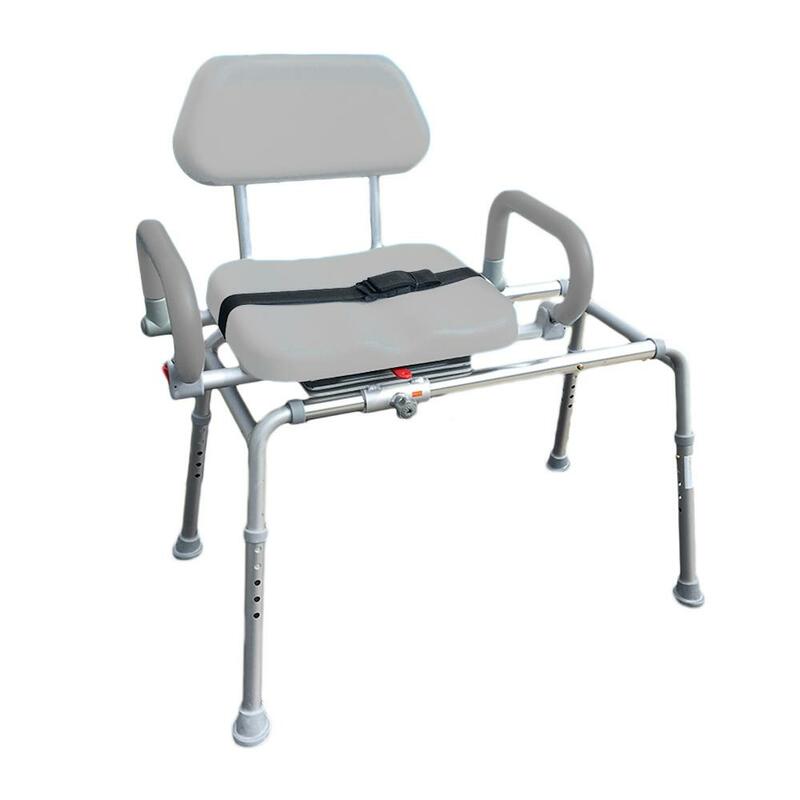 Those patients who have the mobility challenges can easily use the transfer bench. This bench has a helpful transferring process like from the wheelchair to bath seat. 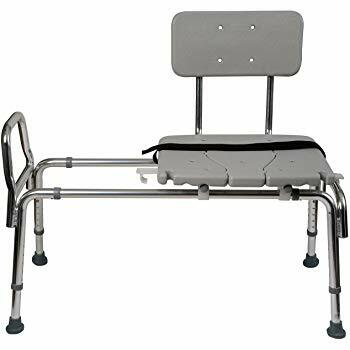 The MedMobile Transfer Bench has a pretty scored as well as a solid rating because many users really like this bench. It has an ergonomic design that attracts users to buy. There are five adjustable seats from 16.5 inches to 20.5 inches, only with one increment. The bench backrest can easily adjustable from right to left. The measurements of the seat are 24 by 15 inches that are real enough space for any user. However, the overall dimension is about 16 inches D, 29 inches L, and 25 inches H. The weight capacity of this bench is up to 250 pounds. 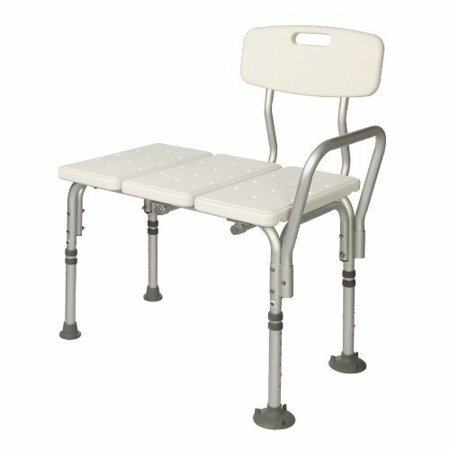 You can easily transfer from walker and wheelchair for taking a bath with the help of this bench. 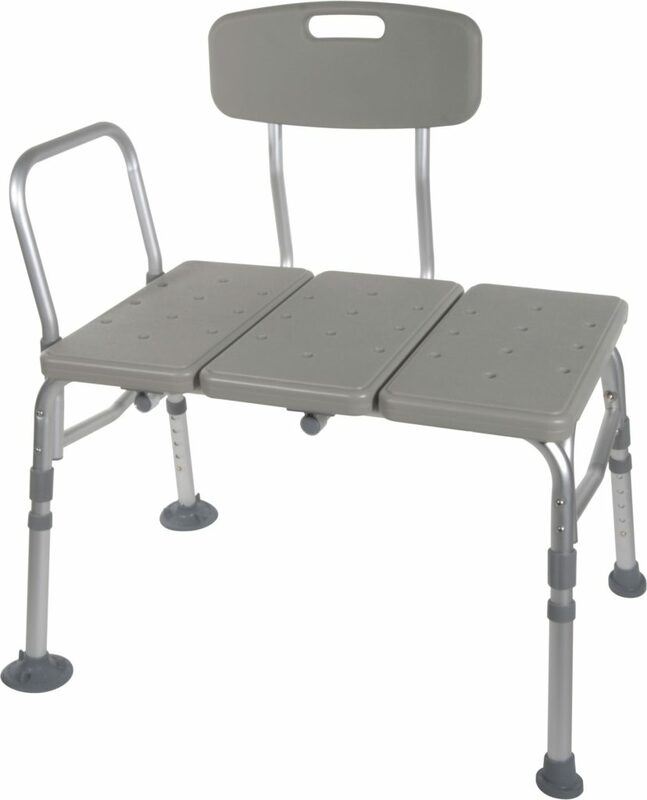 You can easily minimize the bench back train while adding comfort and flexibility for the user. It’s a lightweight and durable aluminum frame, which is helpful in easily moving or lifting. The transfer bench seat comes with the backrest and non-slip seat. Also, it has a nylon strap that is quite helpful to keep the seat in their place. A person whom weight is 400 pounds and up to an easily adjustable. However, the seat height also comes with the adjustable form, it can be adjusted from 19-23 inches, while the exact seat side is about 19 by 14 inches. The measurements of a whole bench are 39 inches. What are the common features of using Shower transfer benches? Provide extra stability through suction cups available on the legs. It is particularly light, can be assembled and disassembled without tools, fits the majority of standard baths. 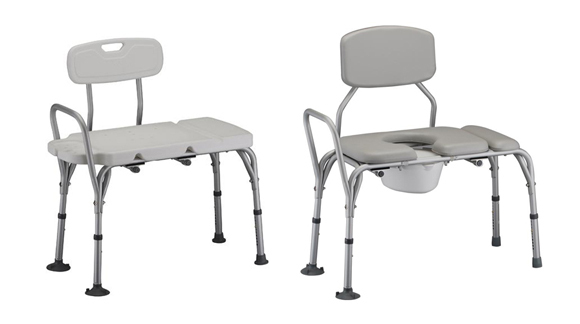 For some multifunctional models, your bath transfer chair can also be converted into a commode chair in one go. A practical option to give you the option to close the curtain or the sliding door of the bathtub. For the sliding transfer bench, it allows the user to slide into the tub with less effort.